The world’s top security software certification authority— AV-TEST has announced on 11th February local time in Germany the winners of the AV-TEST AWARD 2013 which includes 5 awards in mobile platforms and traditional Windows platforms. 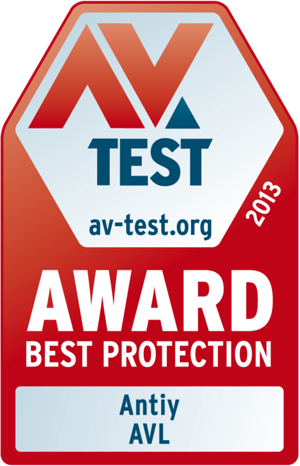 AVL SDK for Mobile by Antiy Labs has won the award of “Best Protection 2013”. The other four awards are contested by Bitdefender, F-Secure and Symantec. It is the first time that the AV-TEST award has been presented to an anti-virus solution in mobile platforms. AVL SDK for Mobile won the AV-TEST Award for Best Protection 2013 by right of its highest average protection score in all the six certification procedures carried out by AV-TEST in 2013. With the rapid development of mobile communication and the great shock caused by the Prism incident, information security has become a global focus. AV-TEST has begun testing anti-virus products in Android platforms from 2013. A total of 28 security companies in the world have taken the test. 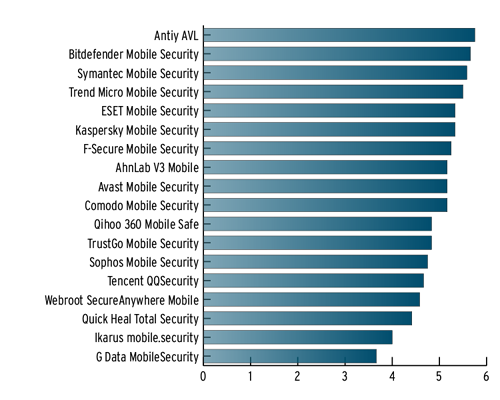 According to the final protection scores published on the official AV-TEST website, the top three products come from Anity, Bitdefender and Symantec respectively. With a history of 15 years and as an independent testing institute, AV-TEST is recognized as the world’s top anti-virus software testing authority and best known for its features in massive virus detection, independent and objective testing procedures as well as strict standards. Global security vendors regularly test their anti-virus products in AV-TEST. The testing results provide favorable guidance for the progress of security vendors.